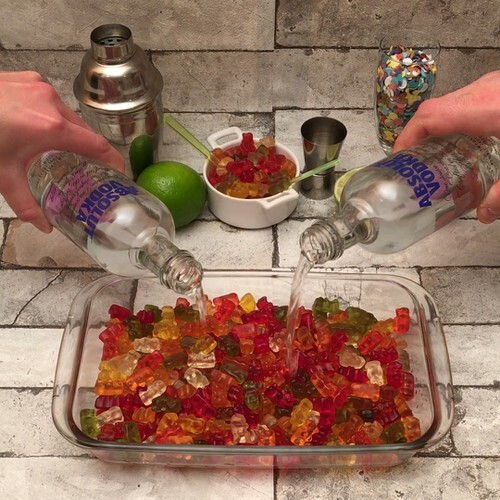 In a large container, add all the gummy bears and pour the vodka over them. Let the gummy bears soak up the vodka for 3 hours at room temperature. Cut a lime into slices and place slices on a kebab skewer to make the lids, then put the skewers in champagne glasses. Fill the glasses with the vodka infused gummy bears, then add Sprite® and lime juice to each one. Leave the cocktails to freeze for 6 hours in the freezer. Enjoy.